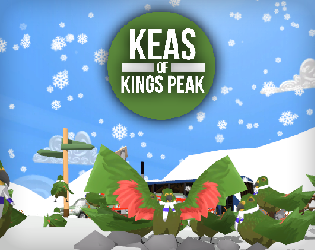 Keas of Kings Peak (previously known as 'KeaGame') is a peculiar 3rd person game where you play as a kea (an alpine parrot native to New Zealand) in a closed-for-maintenance ski field. Without the usual target of humans, the keas eventually formed into rival factions, each with their own fancy base and gang head-wear. note: as of now this game is missing a few small things like stats, options, camera collisions and unlocks which are certainly planned and will be added in time. there is also NO SOUND as of now. there will be one day!